Blind Spot creates unique opportunities for living artists to present significant new photographic work. It provides unmediated platforms where their vision can be expressed without compromise, free of commercial content or editorialization. It slows the pace of absorption and deepens the relationship between a work of art and its audience in order to counter the frenetic proliferation of disposable images that dominates our culture. 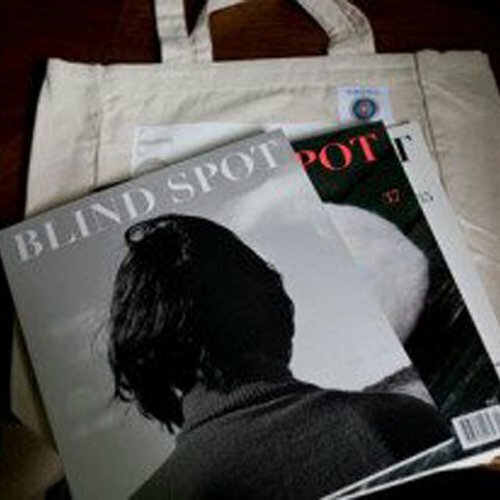 Blind Spot is a semi-annual art journal that publishes unseen work by living photographers. In Blind Spot, images are given primacy and published collaboratively rather than curatorially, unaccompanied by introductory, biographical, or explanatory text. Blind Spot is not about photography; its content is photography. Blind Spot bridges the gap between emerging and established artists, and creates a new context where each can benefit from the company of the other. By publishing accomplished artists on an intimate scale, the journal strives to enrich and provide direction to our culture. Since its launch in 1993, Blind Spot has featured over 400 living photographers including Uta Barth, Gregory Crewdson, Tim Davis, Rineke Dijkstra, Adam Fuss, and Vik Muniz, many of whom have gained critical and audience acclaim through their exposure in the magazine.